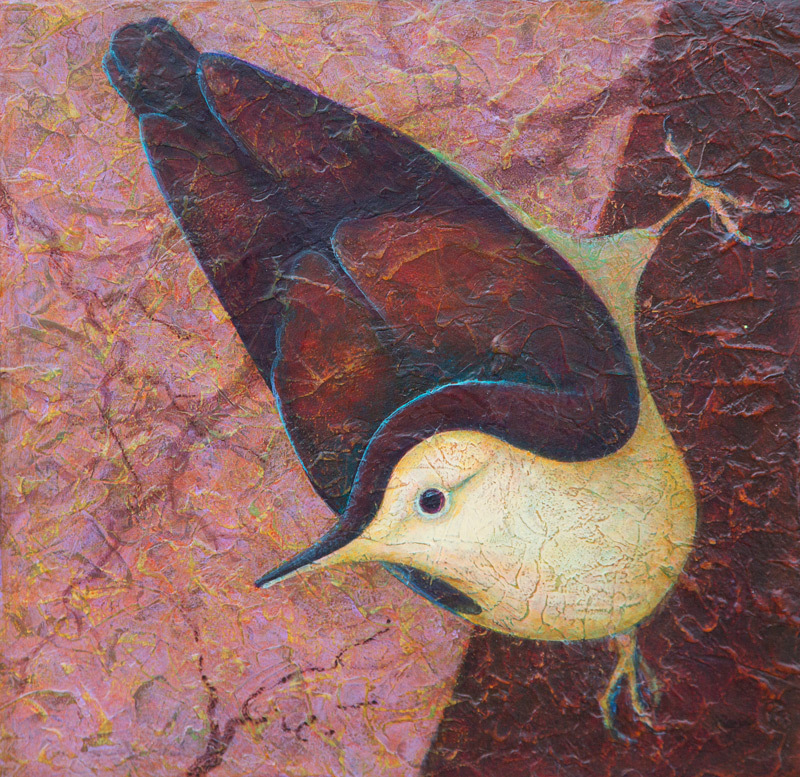 Nuthatch III is part of my Fleeting Glimpses series. Nuthatches amuse me endlessly with their amazing antics climbing trees. These paintings are done with multiple layers of acrylic and acrylic gel creating deep textures and visual interest.